In a time where people can essentially sue for just about anything, employers need to be particularly careful. Employees can file a lawsuit against you or even against another employee, throwing your business for a loop. Luckily there are some things you can do as an employer that could help you lower your risk of getting hit with a lawsuit. Here are 5 steps that employers can take to help minimize the risk of lawsuits from their employees. 1. Buy Employment Practices Liability (EPL) Insurance. Ever since the passage of various federal, municipal and state statutes which forbid discrimination directed to classes of individuals that are considered protected, there has been in increase in employment litigation. Lawsuits are time consuming and expensive for all involved, and small businesses are the most at risk. Be proactive against the chances of an employee/employer lawsuit but buying EPL Insurance, which can help cover any liability and legal fees in an employment suit. Shop around for the right insurance provider before committing to a policy. Ask questions about the coverage they provide, and about what is and isn’t covered. To avoid any confusion regarding your policies and practices, make sure that your employee handbook is updated regularly. All your policies should be clear and understandable, with no room for misinterpretation. The book should give clear instructions on what your employees can do if they have a complaint. Such steps can give employees a proper way to express a concern within the company, and will minimize the need to file a legal claim against you. Also, ensure that all your employees are well-versed when it comes to your anti-discrimination and anti-retaliation policies. Provide all employees copies of the handbook when they are hired and also each time the handbook gets updated. Should any questions arise regarding the labor law, talk to Labor Law compliance center representatives. 3. Provide lots of training. In order to maintain a productive and safe workplace, it is up to you to make sure that each and every one of your employees is well trained on the company’s policies and best practices. In addition, all management and upper level employees should be trained on all local, state and federal law or statutes. Since the areas of employment law changes so often, it is imperative that you provide training regularly to keep management up-to-date. You can have your Human Resources department hold training sessions regarding the company policies, and contact David Hunter Law Firm Sugarland to assist you with training concerning employment law. 4. Enforce your policies and investigate any claims. When employees misbehave and do things against other employees, they put your business at risk and you may find yourself with a lawsuit on your hands. To avoid such problems, make sure all employees know your policies and if you come across an employee complaint, investigate it. Find out exactly what happened and take any course of action necessary to rectify it. Trying to pacify the situation yourself can help squash workplace problems and reduce the risk of litigation against you or your company. 5. Get a release with severance. If you pay your employees severance, you should also require that employees release any and all claims against you, even if you believe that they don’t have any or that they will never actually sue. This can help avoid any surprises in the future should the former employee decide that they do in fact want to take you to court over something. Contact a Mesa employment lawyer to help you draft a Special Employment Release form for your employees that specifically states that they release all know or unknown claims. Workplace lawsuits are getting more and more common, and small businesses are particularly at risk. Use these 5 steps to help protect your business and employees against potential lawsuits. 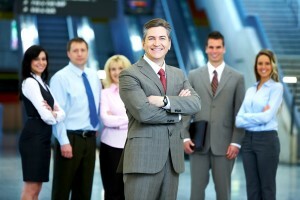 Related: How to find the best employment lawyers in Toronto? Read the rest of Can Employers Limit Employees’ Use of Social Media?